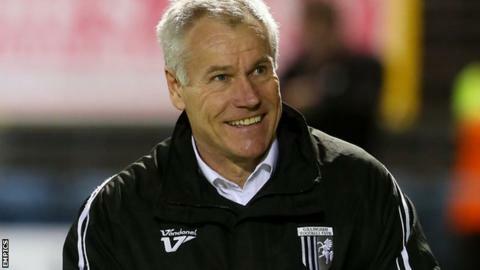 Gillingham manager Peter Taylor has agreed a new two-year contract with the League One club. The 61-year-old was named interim boss last October after the dismissal of Martin Allen and confirmed in his position the following month. The Gills eventually finished 17th, six points clear of the relegation places. Taylor has yet to sign his new deal, which will run to the end of the 2015-16 season, but it was announced at the club's Player of the Year event. The award was won by goalkeeper Stuart Nelson. Speaking following Saturday's 1-1 draw with relegated Shrewsbury, Taylor said he was unclear about his future. But he told BBC Radio Kent: "I'm really pleased that I've had the opportunity to come to Priestfield. "And I'm really pleased with the way it's worked out because we stayed in the division. I think that's progress." Taylor previously managed Gillingham in 1999-2000 and led them to promotion via the League Two play-off final, but afterwards moved on to Leicester City. His career then took him to Brighton, Hull, Crystal Palace, Stevenage, Wycombe and Bradford prior to a spell as head coach of Bahrain's national team. He was in charge of England at the Under-20 World Cup last year before accepting Gillingham's offer to replace Allen.